We take a genuine interest in our clients, taking the time to understand their objectives so that we can meet or exceed their expectations. We believe our clients are best served by making a thorough and prompt assessment of the legal issues presented and to then formulate the best possible approach for an efficient resolution. We dedicate ourselves to providing high quality legal services with integrity, professionalism and respect for our clients and the community. Our mission is to provide the highest quality legal services while giving full attention to each client’s needs. Our goal is to achieve results that exceed our client’s expectations by being prepared, accessible, effective and responsive while adding maximum value to their business. We are committed to our community to provide valued pro bono and public service. Mr. Norris has been practicing in California since 1990. 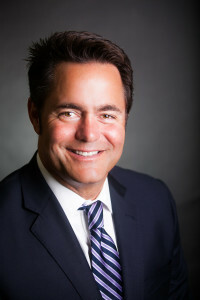 Our firm specializes in the representation of clients involved in litigation matters, including employment law, business litigation, commercial litigation, personal injury, general civil litigation, sexual harassment, wrongful death, insurance defense and insurance disputes, construction, contract litigation and transactions and civil problems. You would be hard pressed to find a situation we haven’t encountered before. We are proud of our 25 years dedication in representing clients like you and your business. We ensure that each and every one of our clients receives the services that his or her unique set of facts demand. We are the law firm of choice for clients demanding the highest quality legal representation in California. We are low key and discreet—the way almost all the best lawyers used to be. We don’t want just to take care of your legal needs quickly; we want to take care of them correctly. We promise to try to get you the results you need and deserve. This can only be accomplished by having an experienced, dedicated legal professional on your side.